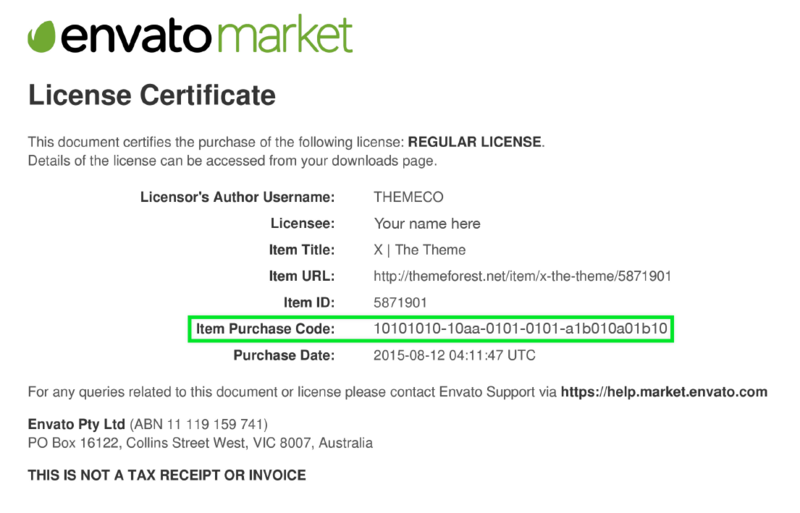 HomeKnowledgebaseFAQsWhere Is My Purchase Code from Envato? If you completed your purchase as a guest, you will be able to find your purchase code in the email you received at the time of purchase. Alternatively, you can create your Envato account at any time using the email address that you used when checking out as a guest. This will allow you to login to your account and obtain your purchase code in the future. See “A guide to guest checkout” for more information. Need a video to help run you through the steps in this article? We’ve got you covered!